The term ancient period here refers to the period before the Christian era. The history of Kerala can be traced back to as early as 4000 B.C. Around this period, Proto Australoid and Negrito races inhabited the land. Various kinds of Megalithic monuments like different kinds of burial stones, urns, etc. have been found near Calicut. The state had trade relations with Sindhu Valley Civilisation around 3000 B.C. The Sandalwood and Teakwood trade existed then. The Dravidians migrated from the Mediterranean region to South India by 700 B.C and the Aryans migrated from North India to Kerala by 300 B.C. 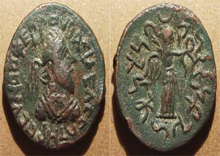 Buddhism in the state spread during 270 B.C. and 240 B.C. The time period from the beginning of the Christian era to the middle of the seventh century comes under the Sangham period. ‘Sanghams’ were nothing but a group of poets in the various parts of the Pandiyan Empire. Direct trade with the Roman empire became possible for Kerala after Heppalus, a Roman –Greek sailor, reached Kodungallore in 45 A.D. The Chera kings captured some parts of Kerala’s northern parts around 50 to 125 A.D. During this period, only the state could trade with some western countries. Post-Sangham Period The period from the middle of the seventh century to the initial years of the ninth century is termed as Post –Sangham period. During this period, Buddhism saw a decline. Cheraman Perumal and Kulasekara Alwar are the main rulers during this period. Kulasekara kings ruled the state for three centuries beginning from 800 A.D. The period is also known as the period of ‘Second Chera’ empire. Raja Raja Chola and Rajendra Chola attacked the state between the period 1000 and 1019 A.D. 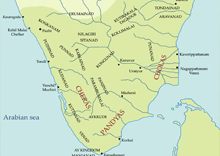 The Chera Empire had been weakened with too many wars with Chola and Pandya kingdoms. The next phase after the breakdown of the Chera empire can be termed as the period of the provincial rulers. This type of rulers generally take control of small provinces rather than a large territorial areas. The prominent rulers during this period were the kings of Venad and Kochi and the Zamorins of Kozhikode. The arrival of the Europeans to the state was started with Vasco da gama reaching Kappad (near Kozhikode) in 1498. Later, several Europeans followed Vasco da gama. Even though trade was the main aim of their visit, the then political instability paved the way for their entry into the administration too. Wars among the various native rules provided the Europeans several opportunities to interfere in the administration. Later, the Portuguese, the Dutch and the British entered the state. The Travancore ruler Marthanda Varma was the strongest ruler of that time. 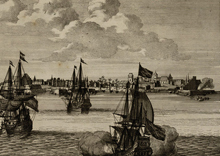 The British, like many other European rulers, had great interest in Kerala. The reason for this was that Kerala had abundant spices and other natural treasures. Irrespective of the number of wars, the British could suppress the rulers here quickly due to the lack of unity among the various provinces. The prominent kingdoms during the period were Kochi and Travancore. One prominent feature of the British rule was that it saw many changes in Kerala’s social and cultural life. During their rule, a number of hospitals and educational institutes were opened in the state. The tenure of the British saw much modernization of the state. Reformers like Sree Narayana guru, Ayyankali and Chattambi Swamikal worked hard for the upliftment of the exploited people in the state. The discontent with British rule was not infrequent in Kerala in comparison with other parts of the country. After their victory in the first world war, the British abolished the Islamic Caliphate and dismembered the Ottoman Empire. With this, the muslims protested against the British. The Vaikom Satyagraha, which was non violent and held almost peacefully in 1914, was a key movement in securing the entry of the people belonging to untouchable castes into public roads. 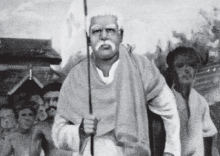 The Travancore ruler, Sree Chithira Thirunal Balaramavarma issued the Temple Entry Proclamation in 1936 to declare the temples open to all the worshippers of Hindu religion irrespective of the caste. The princely states of Travancore and Kochi were merged to form the state of Travancore – Cochin in 1949.On 1st November, 1956, the state of Kerala was created. The Malabar district of Madras Presidency, Kasargod taluk of South Kanara district and Travancore – Cochin were merged to form the new state of Kerala. However, Kaniyakumari was handed over to Tamil Nadu. The communist led government headed by E.M.S.Namboodiripad was formed after the elections for the Kerala Legislative Assembly in 1957. The leader introduced radical reforms in favour of farmers and labourers which led to change to some extent. People from Mappilas, numbering about 30 to 40 lakhs, left the state for the Middle East seeking employment. They went to countries like Saudi Arabia and UAE in the region.